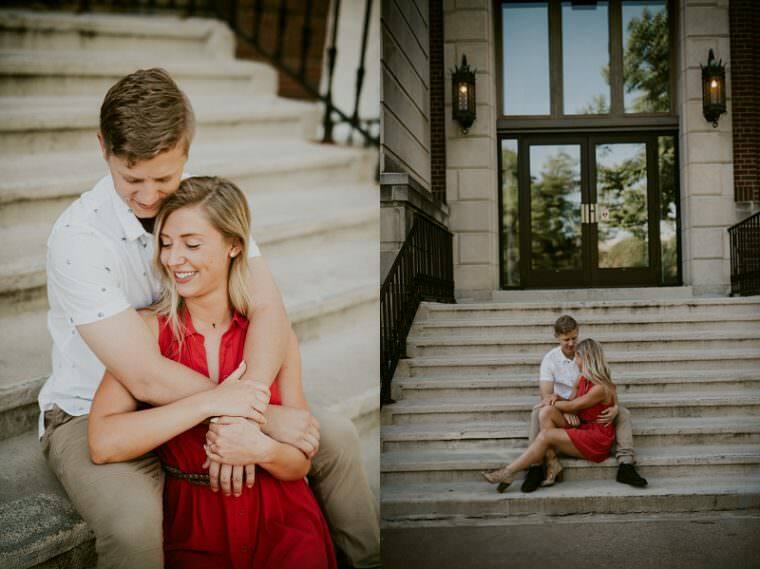 From the moment I “met” these two (and Kelsey’s Mom) via Skype, I just knew that they were going to be the best! These two have a love that you can just feel when you’re around them. Justin and I stood back a lot during the session just allowing them to get lost in each other. There were so many moments of calm that were so beautiful. These calm moments were mixed in with some of the best laughs between them! It is always a beautiful thing to experience – love that was meant to be. 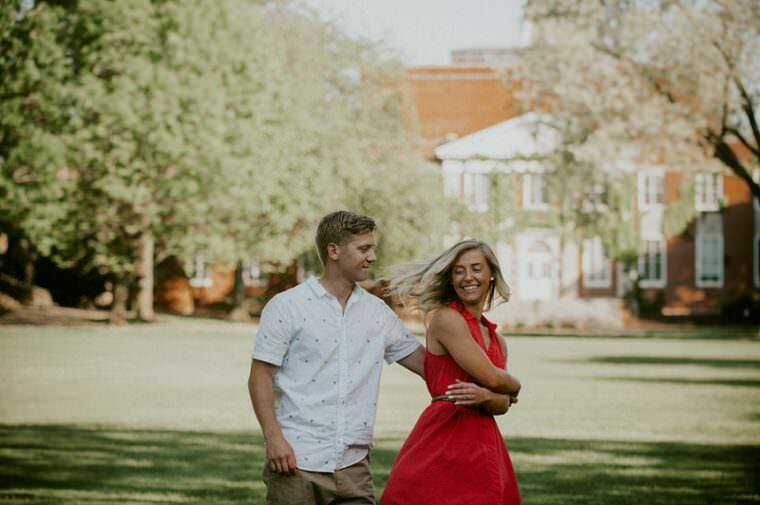 These two met in college – while they were dating other people something just pulled them together. After 2 years of meeting and becoming good friends, Sean invited Kelsey to a party and the rest is history. I always ask my couples how they knew they loved him/her, and when I read Kelsey’s answer my heart swelled so much. She knew when they met, it was a love that grew with every day they’ve known each other. She talked about him for hours to her Mother – when he had to go back to Germany. 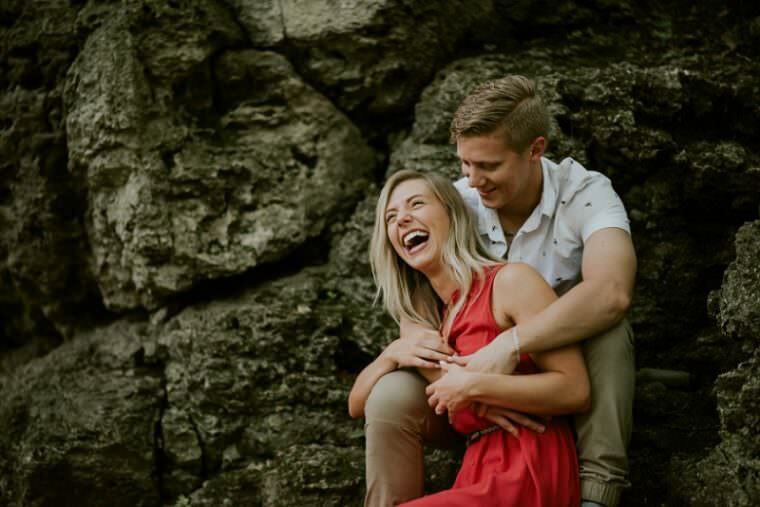 Her Mother told her they were in a “love bubble” – haha! Little did she (Mom) know that they were Life Teammates! These two have a love that was set in the stars. 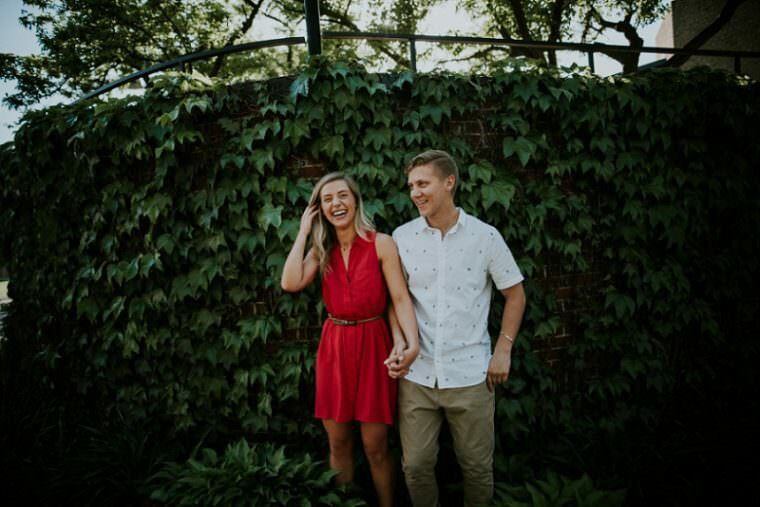 I just knew that we had to do their engagement session in Cedar Rapids – it’s where they first met. We started at COE College, where we tried to feed squirrels, danced on the lawn and they kissed in the vines. 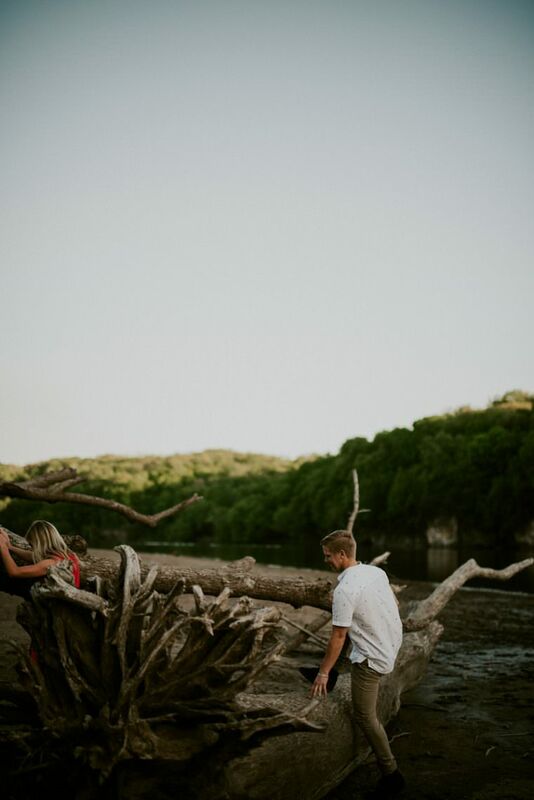 I always also try to make new memories while mixing in their story – so we headed to Palisades Park just outside of Cedar Rapids. This park was simply perfect to showcase their love in the wild. 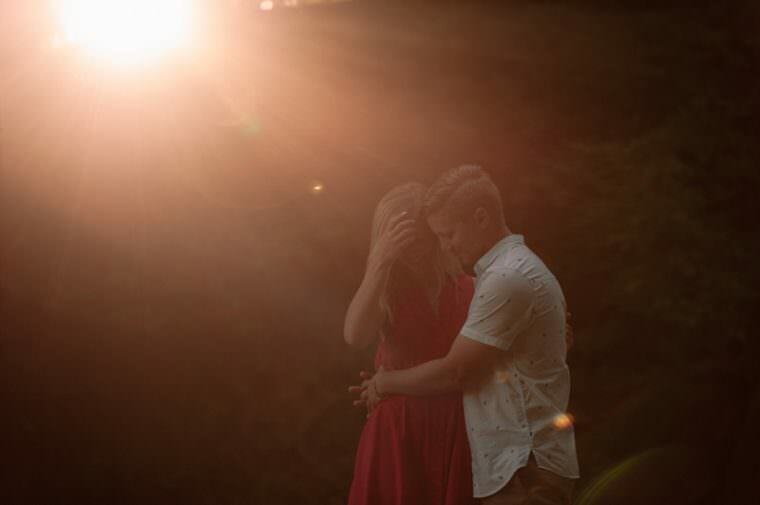 They got to dance in the sunlight, cuddle under the trees and gaze out at the sunset. 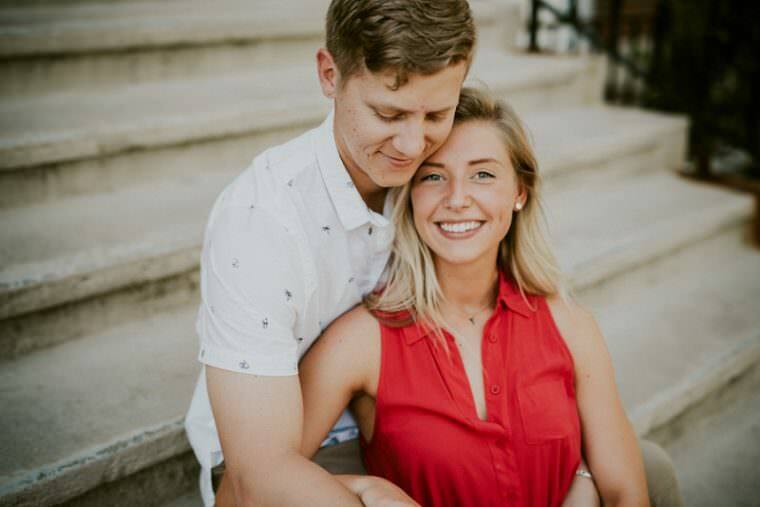 Justin and I are elated to photograph their wedding this coming October, head back to Cedar Rapids for camping at Palisades AND for Kelsey and Sean to move to Madison soon! Fate was sure in the mix of us all coming together! 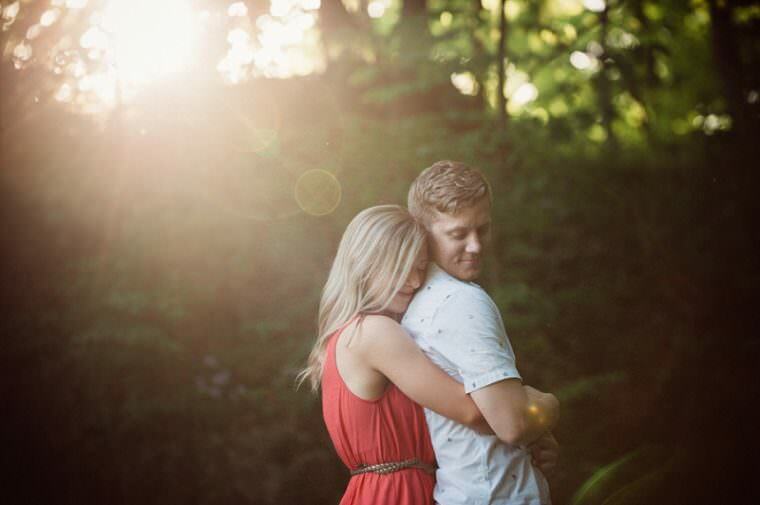 As Sean’s mom my heart is filled with joy to know my son will go through life with Kelsey! You spend a lifetime caring for your childeren and the best gift is when they find a beutiful solid person that you know will care and love them just as much as you do and more! Love you guys!